Field Day locater has been added to this website. Kindly refer to the latest at Field Day Locator Menu. Latest position of Club Station or Individual Station. Position may slightly inaccurate, depending information given in registration. Please make sure latitude and longitude in DD (decimal degrees) accurately given, by referring to this website. If you reading this page using your hand phone browser, you may not get details on station’s positions. 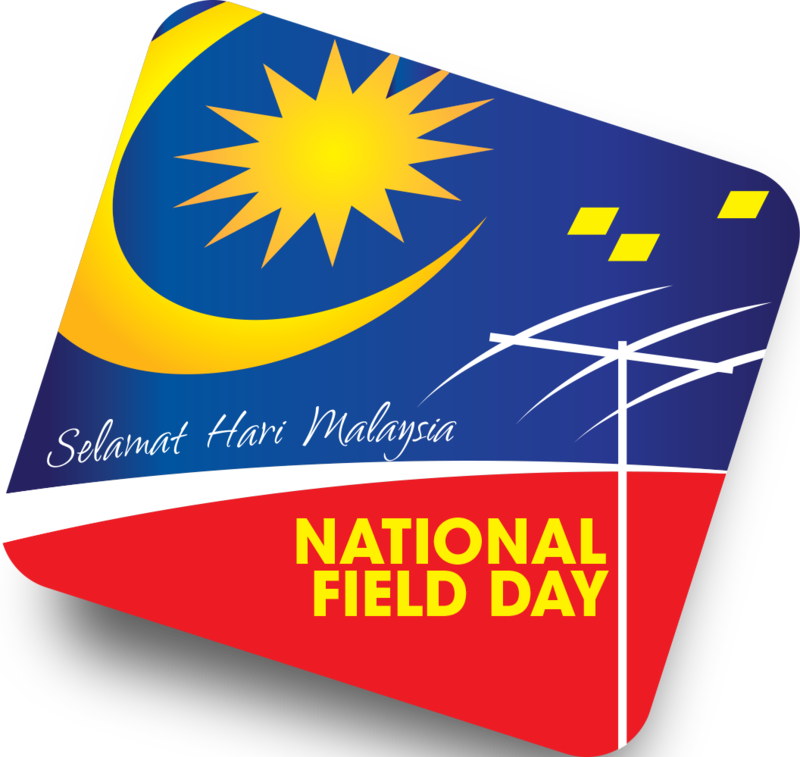 Malaysian Amateur Radio League (MARL), will be organizing 2018 National Field Day , for 48 hours beginning from Saturday, 15th September 2018, 0800 MYT until Monday, 17th September 2018, 0800 MYT (UTC +8). You may join this event as a group (Amateur Radio Club Station, Amateur Radio Community) to get together with family or as an individual going around with your vehicle to the place of your choice. Please do remember, always logged your QSO either manually written or using laptop. This event will also be held concurrently at a number of location throughout the country. As reminder, this is not a contest and please read the rules. All station are requested to check in to MALAYSIAN 40 Meter Net at Freq 7.140 both at 15th and 16th September 2018, twice a day at 0900 and 1700 MYT. MARL welcomes all other Amateur Radio groups, clubs and societies also individuals, to set up their station at their respective states. As amateur radio activity and in the spirit of Field Day which has been organized for many years, ALL participating groups/clubs/society/individuals are requested to use ONLY BATTERIES or GENERATOR SET to power up their stations and equipment as our training and preparation to be deployed anywhere in emergency conditions or disaster. This event will give you an opportunity to check your working conditions such as your power supply source, radio and your antenna. For those who’re keen to learn especially in High Frequency communication, this is a golden opportunity for you. MARL would like to call for all amateur radio members in the country to participate in this event. Those interested, kindly Register here. Please visit MARL Facebook page for up-to-date information. We’re looking forward for your participation in the 2018 National Field Day.